Perhaps, we don’t need to tell you how big influencer landscape is and how potential the outcome you may get if you adopt an eCommerce influencer marketing strategy. You probably know that influencer marketing will be your perfectly ideal solution if you’re the new player on the market, who longs for a slice of the pie. Or, you’ve already been a big guy in the crowded eCommerce world, and now you desire a bigger slice of the pie. With an effective eCommerce influencer marketing strategy, you can expect to grow your business more quickly and get a larger profit. Integrating influencer marketing into your marketing campaign to market your product, you’ll boost your campaign ROI, for sure! At its most basic, influencer marketing is a strategy which zeros in on using influencers to drive a brand’s message to target audience. In a typical influencer marketing strategy, a brand forms a partnership with an influencer in which the influencer agrees to expose his/her audience to the brand’s message or content. Currently, influencer marketing is no longer meant for million-dollar companies. In fact, if you’re a new and/or small eCommerce business, you can still get a lot of benefits from influencer marketing. People often want to hear recommendations from those whose opinions they trust. If you apply an eCommerce influencer marketing strategy, your influencers can create impacts on the buying process. That is, they help foster your brand awareness and authenticity. People fear scam and false claims. As such, they have become increasingly more careful when buying online, even on trusted stores. But when your brand is promoted by an influencer, that fear may be dispelled and people can be more trusting in you. It’s because they trust the person who’ve made the recommendation. You may not think that influencer marketing can improve SEO. But considering the long-term effect, the truth is it does! Remember influencers write compelling contents, have thousands (or even millions) of followers, and are therefore trend-setters. They usually possess their own high-authority websites and visit other high-authority ones to deliver their messages online. Hence, when an influencer writes a review of your products and links the post directly to your website, you’ll get a very good backlink in the eyes of Google. Accordingly, your rankings on search engines will be higher. The world of influencer marketing is constantly changing and bring new ideas year after year. In general, most of the changes aren’t unexpected, but rather gradual and relatively predictable. The first trend you should keep an eye on is Instagram which will remain the crucial influencer marketing channel. In 2018, Instagram reached one billion monthly active users and certainly continues to grow. Also, the platform keeps the same position as the leading one for brand-influencer collaborations, taking part in 93% influencer campaigns. This number roughly doubles the rates of Facebook and YouTube. High-quality and short videos are a roaring success with quick hits, easy engagement, and fast follows. The Snapchat-like feature, Stories, is hugely successful. More importantly, Instagram does a much better job than its competitors (especially Snapchat) in terms of assisting influencers and the brands that would collaborate with them. As human beings, we have a short span of attention, and we love to be entertained. This is the reason why focusing on influencers who use video to market them is a good strategy in 2019. Not only does a video (especially live video) attract immediate attention, but it also encourages viewers to engage with the content (like, comment, and share) once the video triggers their emotions. By 2019, video content on Instagram brings about 65% ad impressions. Also, live video marketing is likely to account for 85% of all internet traffic. To use videos for your influencer marketing, you should think of sponsoring influencers’ live feeds on social platforms. Live-streamed influencer collaborations are feasible solutions, which can include Q&As, promotions, and behind-the-scenes footage at events. There is a wide range of possibilities you can try. 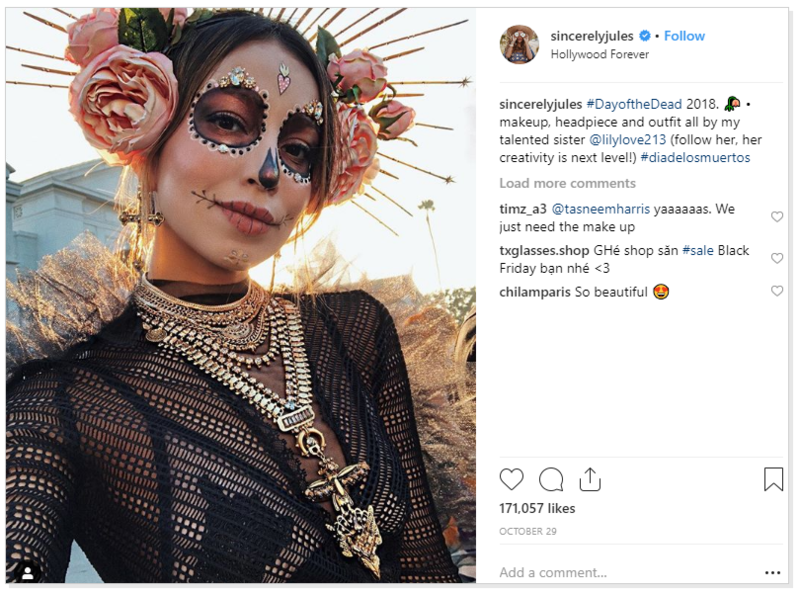 When businesses look for influencers for advertising purposes, they typically target those with at least 100,000 followers (called macro influencers). But the reality turns out, bigger isn’t always better when it comes to eCommerce influencer marketing. Many brands have been homing in on the power of micro-influencers with fewer than 10,000 followers on social media. In 2019, macro-influencers is till “the game”. And so does micro-influencers. 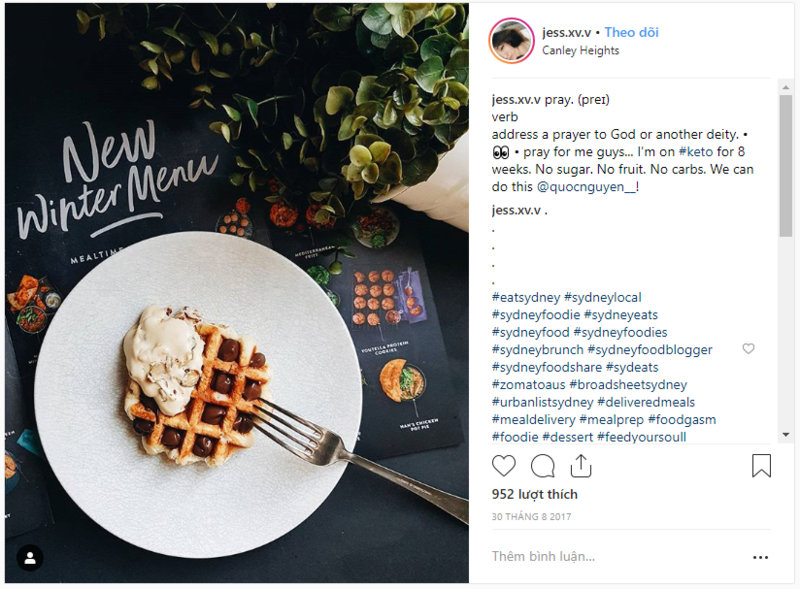 If you choose macro influencers for your influencer marketing, consider that they can provide you with a notably greater reach, but at a very high cost. For example, celebrity entrepreneur Kylie Jenner charges about $1 million for a sponsored social media post. Besides, macro-influencers often have a great diversity of followers, both demographically and psychographically. Therefore, they seem to be more suitable for top of the funnel marketing campaigns which promote products to the masses, according to John Huntinghouse, Digital Marketing Director at Epic Marketing. Meanwhile, micro-influencers often focus on a specific niche. They interact with their followers more frequently and are viewed as more authentic. They’re also more affordable than macro-influencers. As said earlier, audiences have zero tolerance for fake or halfhearted contents. According to 2017 Consumer Content Report, authenticity plays a crucially important role in building relationships with online audiences. Accordingly, 90% of Millennials, 85% of Gen-Xers, and 80% of Baby Boomers said they valued authenticity when choosing which brand they give their trust and support. A good example of such content is user-generated content (UGC). This content type is even called a goldmine for brands, not only because it is the most authentic, but also with the granted permission, brands can repost and further engage with the community. You can mix UGC across email, product-display pages, and advertising campaigns to maintain an authentic and consistent appearance for your brand across all platforms. How big is your eCommerce influencer marketing budget? Based on a study report conducted by Linqia, most marketers spend anywhere from $25,000 to $100,000 on influencer marketing in 2018. They also have a plan to increase their spending in the following years. Often, when you’re on a budget and planning your cash flow, making right decisions about which aspects of eCommerce influencer marketing you need to invest more money in can be challenging. Regarding this, the problem doesn’t lie in how much your budget is, but the way you spend it. If you have a small store and a tight budget, it’s even more important to spend it well. With this method, you create pricing models based on the results your influencers will bring to you. Cost per Engagement (CPE): Number of likes, shares, or comments. Cost per Acquisition (CPA): Number of sales or generated leads. Cost per Click (CPC): Number of actions taken when customers view or interact with influencers. The greater results your influencers drive, the more you have to pay them, and the larger your budget for your eCommerce influencer marketing campaign is. That is, you determine a set compensation amount for each review article, video, social media post, and other content delivered. This way, you won’t have to allocate more of your budget even when your influencers turn out to be extremely effective. The question is how much do influencers charge per post? Instagram: $1,000 per 100,000 followers. Snapchat: Start at $500 per campaign in 24 hours. YouTube: Roughly $2,000 per 100,000 follower. But this just isn’t how it’s done in eCommerce influencer marketing! 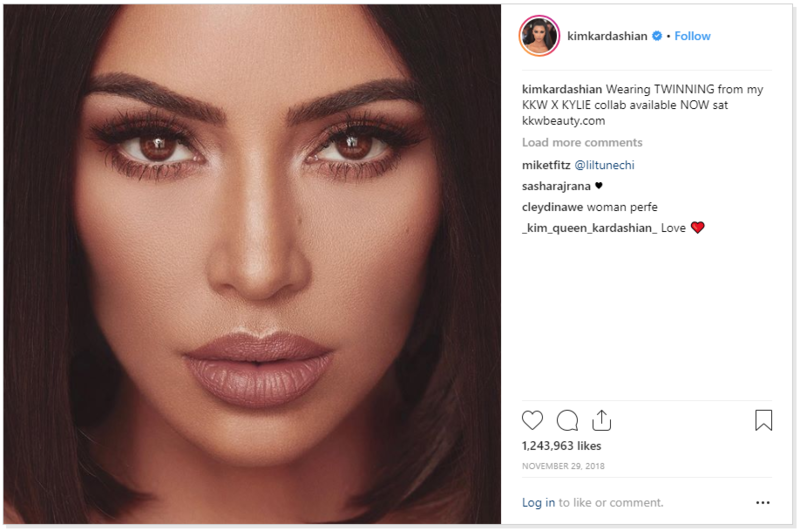 Let’s say you can’t afford Kim Kardashian who will cost you more than $250,000 for a single Instagram post, there’re many other rooms when it comes to pricing, depending on your goals. The number of followers the influencer has. The amount of engagement their posts gathers. The fit of your advertisement with their brand and followers. The number of posts you want the influencer to create. The type of posts such as images, videos, podcasts, etc. The amount of time and effort needed from the influencer. For example, do you support any image/video or the influencer has to create everything from scratch? Where your advertisement will be shown. For example, will it just appear on the influencer’s social account? Are you cross-posting it? Are you using it for other purposes? Most influencers set their own rates. You should look at them from a purely financial standpoint, so you can gauge their worth. A key to remember that no two influencers are created equal. Their pay will vary, as will their following, their social savvy and the power they hold for your brand. To help your influencer marketing campaign be successful, you have to choose the right influencers, figure out who they are, and how they fit you. In other words, you need to create a persona for your influencers as you do for your target customers. First, how does an influencer look like? Generally, influencers aren’t just celebrities. In fact, they can be anywhere, and they can be anyone. What makes some people influential is their power in influencing others and their large followers on the Internet (websites, blogs, or social media platforms). An influencer can be a famous food photographer who tweets, a hard-working fitness trainer with six-pack abs on Instagram, or even a respected CEO on LinkedIn. These people possess the power to cause a reaction in their followers, inspiring them to do this and that. Within any industry, there are always influential people available – your job is to search for them. You have many ways at your disposal to find influencers on the Internet. But the tricky thing is sorting through millions of users, to say nothing of many platforms you should work on. Luckily, each platform offers you some techniques to pick up influencers you want. Assume your brand is in the health food industry. You can start by searching #healthyfood or #vegetablefood. 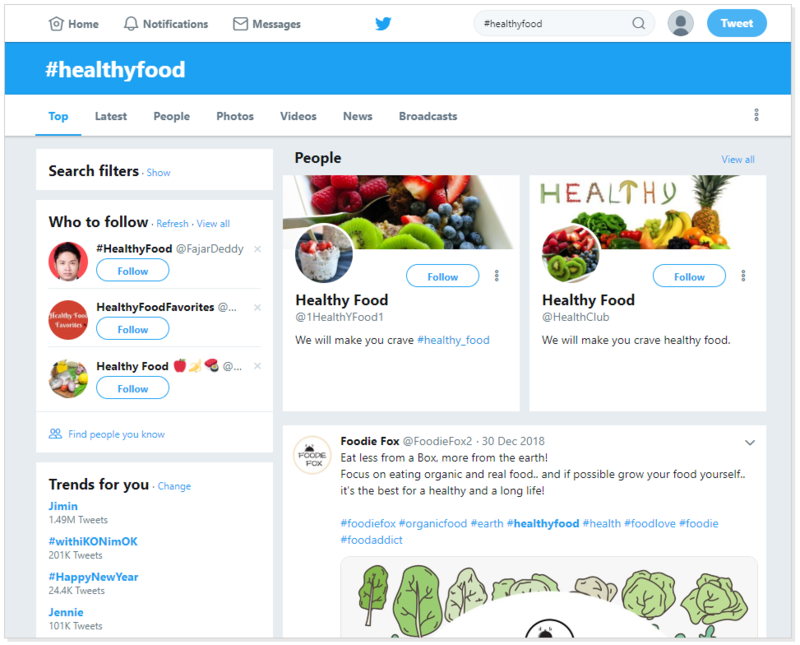 Use hashtag #healthyfood to find influencers on Twitter. Influence.co is a tool to find influencers on many channels, namely Instagram, YouTube, Pinterest, Snapchat, and Blog. This tool has a huge influencer database and gives you a free package with 30 influencers per month. It’s super easy to use. Just type your category/industry in the search bar, and then click Search. After that, you’ll see a list of influencers on your chosen platform. 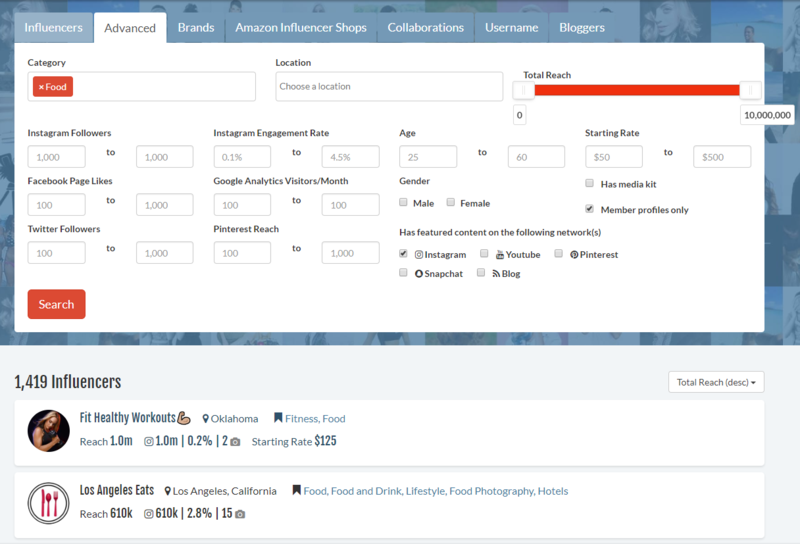 In addition, the Advanced search feature offers you several filter options to find out exactly the influencers you need. So, don’t forget to get the most out of Influence.co to get your job done. Once you pick up some potential partners, you can vet them using the free influencer data reporting tool Social Blade. This is a powerful online tool to help you check if those partners have a natural follower growth curve. To illustrate, here’s the profile for the first influencer who turned up in the earlier “food” search on Influence.co. 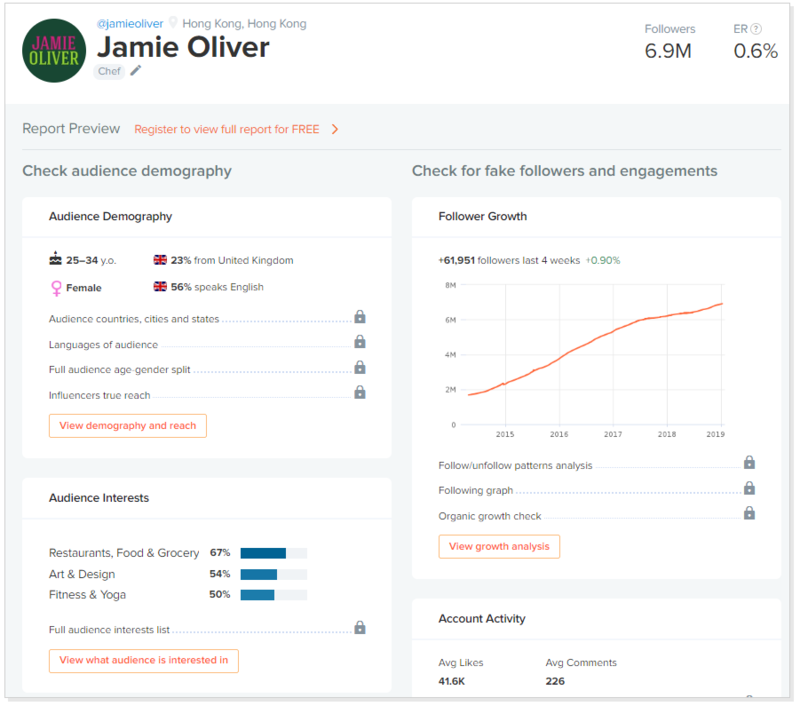 The top of this report shows the influencer’s stats followed by a rank, which means a grade for the account based on the engagement and following. 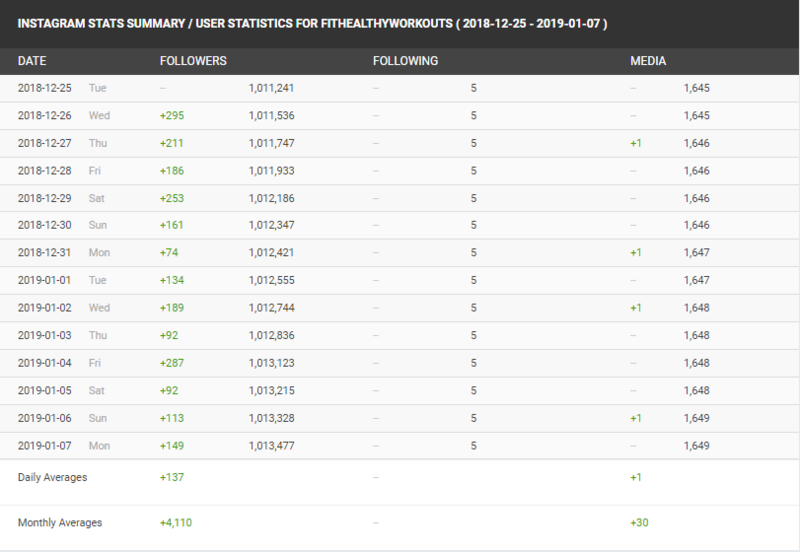 Also, you see a chart of their Instagram stats, including their follower increase/decrease week over week and how many people they’re following and their media mentions. To find best Instagram influencers ranked by quality followers and authentic engagement, consider using HypeAuditor. This tool applied AI technology to gather raw data from different sources, analyze it, and then rank influencers. 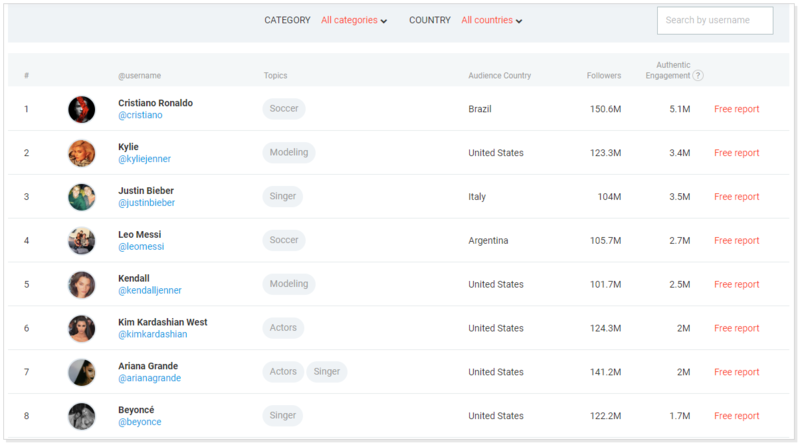 You can easily to select a list of the top 1000 influencers or choose to view influencers by countries/categories. Besides, you can learn more about a specific influencer by entering their name in the Search box. HypeAuditor will give you all details about that influencer like a flash. 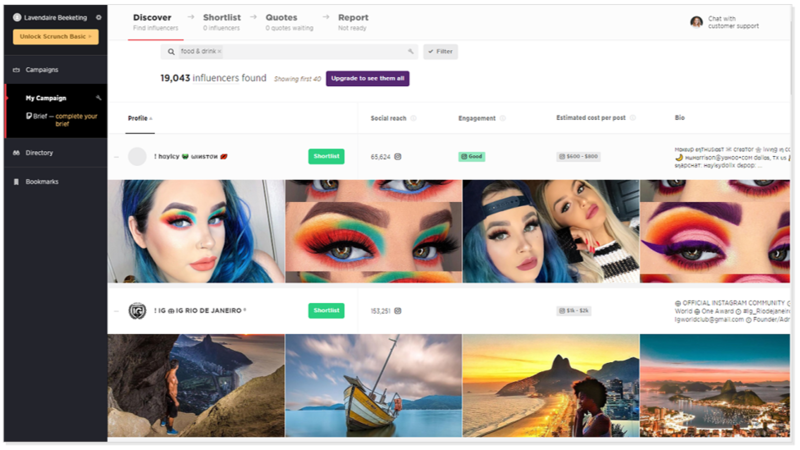 Scrunch is a data-focused influencer marketing platform to connect with YouTube influencers. When you sign up, select which categories of influencer you’re looking for like fashion, beauty, or food. Also, you can shrink your search to micro-, macro-, or power influencers. After that, you’ll see the dashboard like this. Finding the right influencers can be a tough task. Here, we’ve created a list of the best influencers in some industries. Feel free to use this list to save your time and effort. A key thing to remember is your chosen influencers’ lifestyle should be fit into your product. It’s because the promotion will be organic. 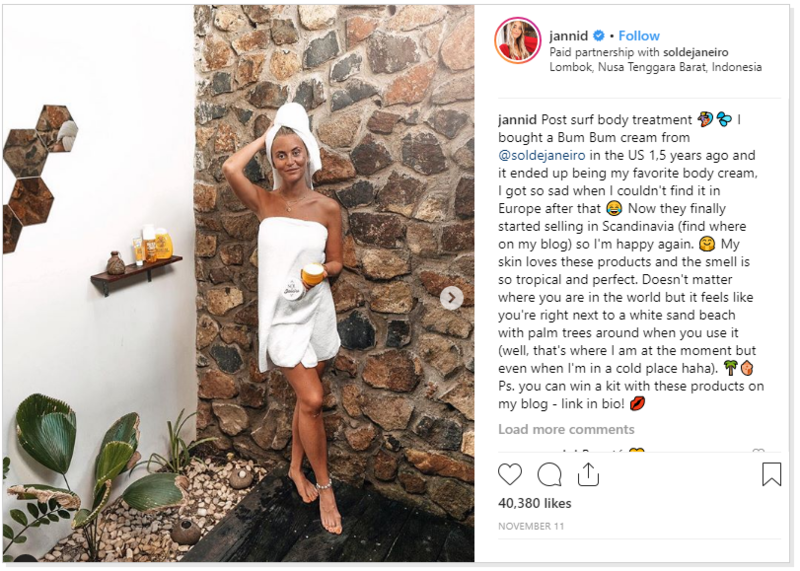 The less forced an eCommerce influencer marketing campaign appears, the more positively your audience will react to it, and the more engagement you’ll bring to your product. Youfoodz hit a home run when they partnered with Instagram influencers to promote the rollout of their new winter menu. They focused on influencers whose niches are health, fitness, and food. They picked up 81 influencers and had 167 pieces of content created. More than 162 Instagram stories were posted during the campaign. If Youfoodz had chosen influencers in other niches, the promotion probably won’t have brought any good result. That’s why you should match specific products with specific and relevant influencers. Think about this from the very beginning. As explained above, it’s a must to bear in mind the budget and influencer pricing so you don’t pay for what doesn’t work. But be careful since if your influencers aren’t getting a fair deal, your campaign is more likely to fail. A study conducted by TapInfluence Altimeter showed that many brands offer inadequate compensation. When it comes to influencer marketing, it’s the biggest mistake. Be aware of the industry “average”. 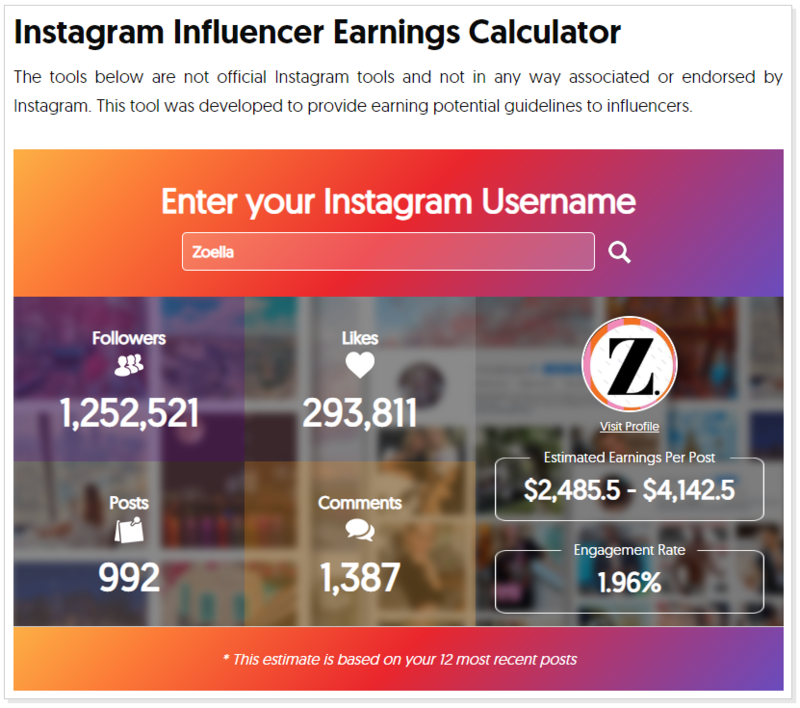 A handy tool to get this done is Influencer Marketing Hub’s Instagram Influencer Earnings Calculator. 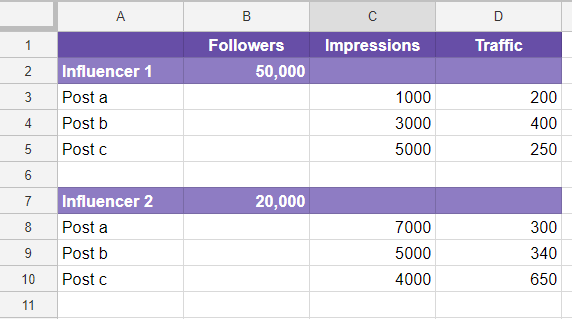 This tool breaks down follower count, number of posts, number of likes, number of comments, estimated earnings per post, and engagement rate. Obviously, you, as a marketer, can create contents by yourself, and then give them to your influencers to promote them. However, a lot of brands go with the second method which they produce great content that their influencers will link to. Whatever you choose, writing an impressive influencer brief may not come naturally to every business. Mencap launched the #HereIAm campaign to challenge stereotypes and carry the message that people with learning disabilities deserve to be seen, heard, and included. To tell that message, Mencap worked with many influencers, like entertainer twins Niki and Sammy or comedian Jack Whitehall and actor Kit Harington. Additionally, the brand also created a 1-minute video called Here I Am: Understand Me to speed up the campaign. The campaign had 780,000 video content views. It also reached 10m social users, and a combined 21,000 likes, shares, and comments. Words of a leading academic, 1968. DJ Casey Dude destroys that view in his own skillful way. The content is relatable. Lots of people aged 25 to 34 years old are the least knowledgeable about learning disabilities. The content is compelling. DJ Casey Dude is Down’s syndrome too. He showed up on the video to make a big change for everyone and for himself. It’s a once-in-a-lifetime experience. The content is trustworthy. Mencap included the source of the quote. Audiences can easily to check the quote on the Internet. Do research on the message you want to spread thoroughly. Ask your target audience what content is working best for them. Another way to do this is going on their social profiles and blog to see what gets the most traffic, comments, and shares. Study what makes the piece of content so successful. For example, you can break the video content down into a format that you can replicate. Create a content plan. You can make a series of content or just a piece, depending on your goal. If your goal is to build an engaged community, engagement is your best measure of success. Basically, influencer engagement refers to your brand loyalty in the future. You can use it to track your long-term ROI. Clicks: Clicks measure interest levels in your audiences. Besides, you can also use them to track the buzz around your content. Likes: Likes measure content appreciation. They can increase the ranking of your content on Facebook as well. Reactions: Expressing reactions may require more effort, so Facebook edited its algorithm to improve their credibility. In general, reactions can show sentiment better than a basic like. Shares: Shares show the quality of your content. If your customers introduce your content to others, they’ll recommend your products, too. Comments: The more comments your posts get, the more likely that your customers feel interested in your content. 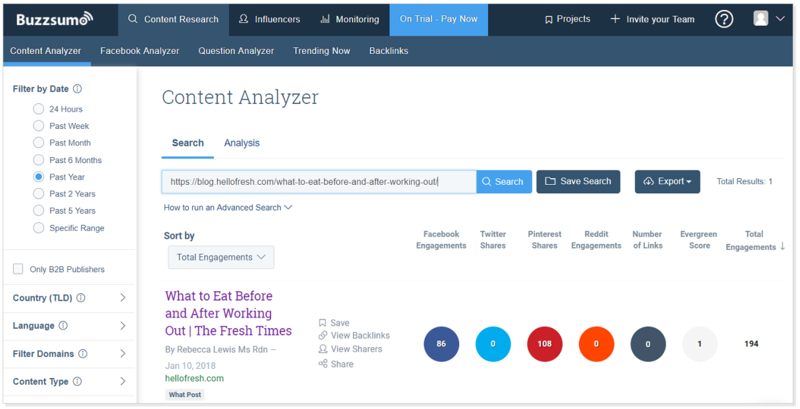 Brand mentions: They help track where your content is being discussed and amplified. When you evaluate engagements, you can also track CPE (cost per engagement) which means the money spent per click-through, like, comment, etc. CPE gives you insights into how your customers are reacting to both your products and your brand. CPE = Total amount spent/Total measure engagements. Or, using this online calculator. Or, working with a marketing tool like BuzzSumo. Just enter the URL for your site or a specific blog post to view its engagement level. Reach is also an essential ROI element. It points out how many people possibly saw your content. The more reach your eCommerce influencer marketing campaign get, the more potential purchases you can gain. Followers: Number of fans or followers an influencer has. Impressions: Number of times your content are shown to your target customers. Traffic data: The amount of traffic an influencer brings to your site. 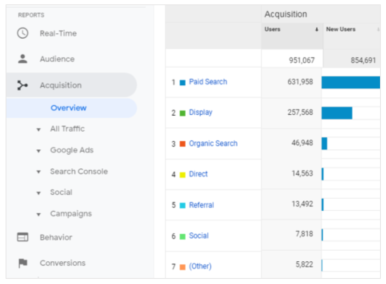 You can view the data from the social media profiles or use tools like Buzzsumo and Google Analytics to read statistics. Then, create a spreadsheet like this. After all, your objective is getting leads to turn potential customers into buyers. To maximize your ROI, you need to specify the influencers and platforms that are generating the most leads. For example, if you get more leads from Instagram and Facebook, ask your influencers to produce more high-quality content for those channels. But, how do you track the number of leads? The answer is using Google Analytics. 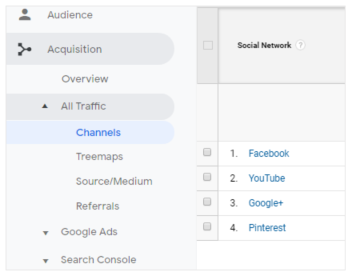 Go to Acquisition > Overview to see your traffic channels. Then, click Social in the list of traffic channels. Successful eCommerce influencer marketing campaigns will drive sales. To track sales, use affiliate links, promo codes and UTM parameters. Providing your influencers with affiliate links is the very simplest way to examine your ROI. Your influencers will get a commission when they drive customers to your site via those links. What’s more, affiliate links show CTR to your site, number of sales, and the average value of each order. Or, use promote codes to measure an influencer’s impact on sales. When a customer uses the promo code mentioned in the content, you can track their future purchases. Or, add UTM parameters to URL to track your results in Google Analytics. After that, you receive data about the site like where the ad appears, the campaign name, and keywords used. In real life, there are several ways to achieve your business goals with ecommerce influencer marketing. Below are five viable tactics to get you started today. This is a type of classic influencer posts. So, you can start here. Just send your influencer some samples, along with a few highlights about your brand and how you can help their fans. Then, let them create a sponsored post that tells their followers how awesome you are. Soldejaneiro.com is a Brazilian brand of beauty. They collaborate with Instagrammers who love skin cares to spread the word about how using their product made them feel good in their skin. Sponsored posts like this racked up approximately 40,380 likes. This is another common influencer marketing strategy. For a good reason, it actually works! In-depth blog posts about your brand can give an influencer’s readers all the information they need to make them take action. These pieces of information are all packaged up in a single post written by the influencer your target audience admire. Hello Fresh is a meal kit delivery service, which collaborated with food bloggers to promote their meals as healthy and delicious. 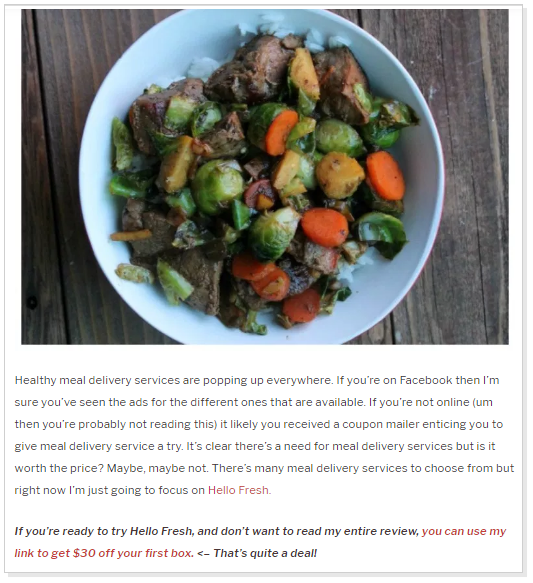 In this review of Hello Fresh, the blogger strategically gives her readers a “too long, didn’t read” CTA right at the top, so they can jump at using a discount on their first order. 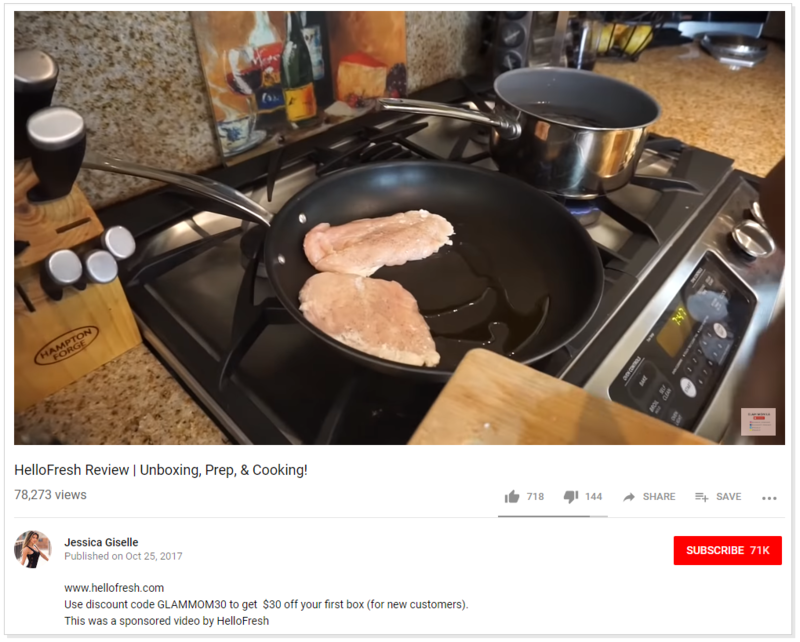 When compared with Facebook and Instagram, YouTube is obviously an excellent platform for eCommerce influencer marketing. In fact, if you have ever heard of PewDiePie, you know the power of YouTube influencer marketing, for sure. Brands know this. YouTube knows this. And Google knows this too. In case you miss it: YouTube is particularly effective because it works well on all parts of the conversion funnel. That is, this platform offers both visual branding opportunity and a significant amount of traffic to your website. Apart from using food blogger, Hello Fresh has made itself known by sponsoring lifestyle influencers like YouTuber Kathleen Lights. As a creator herself, this sponsorship is a natural fit. Request that influencers don’t just mention your brand name in their videos. Ideally, your brand should make sense within the context of the video. 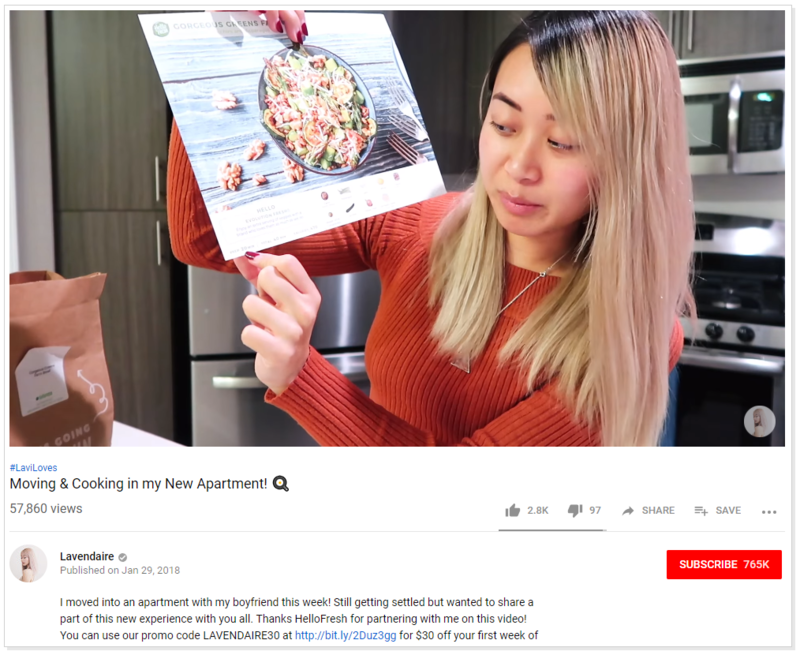 For example, Lavendaire created a video where a Hello Fresh box offered her three meals prepared in it. Therefore, she could cook quickly after she just moved to a new apartment. Everything great is happening online. But you always have many other choices to attract a lot more consumers. Using in-person events is one of them. More specifically, you can invite influencers to your live events. Then, amplify your efforts by filming part of the event for your social media. This way, your followers who couldn’t join that event still get to feel like VIPs and will make it your next event. If your event is a food festival, you can partner with Instagram food bloggers and invite them to your event. They will post dramatic pictures of sushi and cocktails. Remember that customers are still looking to trendsetters to help them make decisions. That’s why making use of influencer marketing is a very good way to drive attendance. Customer testimonials are truly critical to a brand. They build trust in the brand. They establish credibility. And they provide your prospects with the social proof that they seek when making purchase decisions. In your influencer marketing strategy, you can feature your influencers on your website and include their reviews to impress customers. 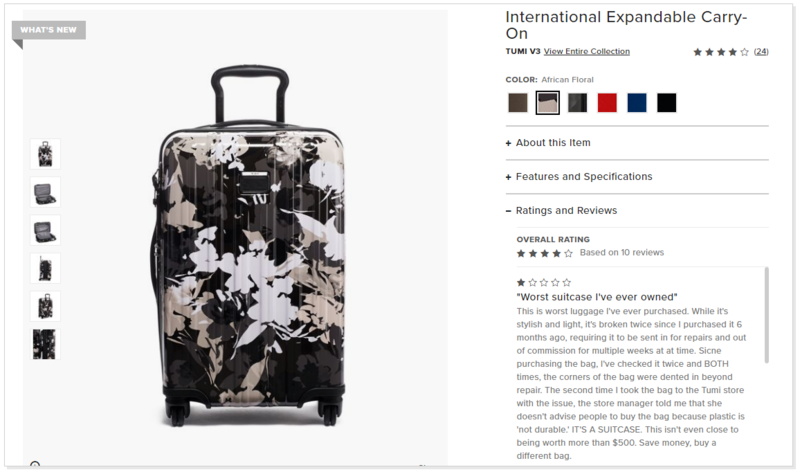 For example, let your influential customers do the selling for you as Tumi did. Each product includes reviews from customers who already purchase (at least) one. 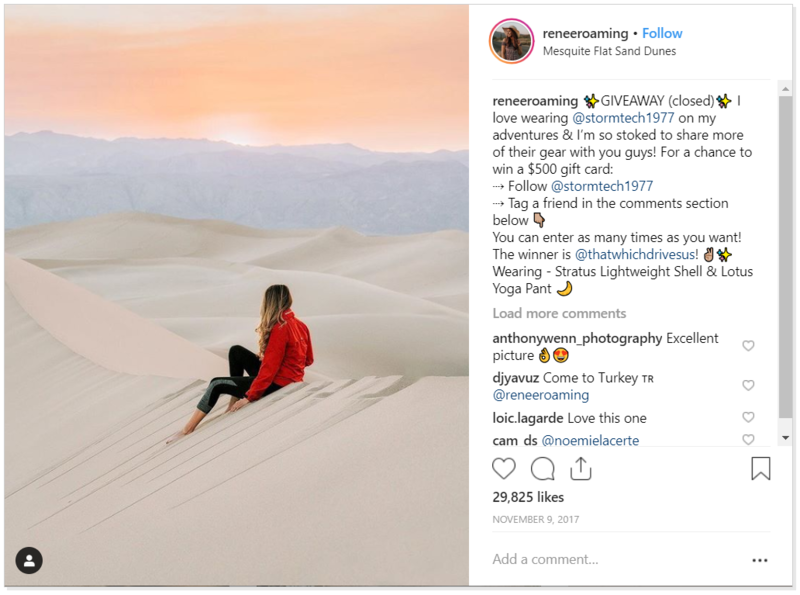 *Bonus: Here’s our exclusive material for you: Successful eCommerce Influencer Marketing Case Studies to learn valuable lessons, and then apply them into your influencer marketing. Alright. That was a lot. You now have a detailed overview of eCommerce influencer marketing for your stores. There’s nothing holding you back. You have the information you need. Let’s start creating your first influencer marketing strategy today, and let us know how it’s going. Thanks again for mentioning us!